The Maine Natural Areas Program (MNAP), within the Maine Department of Agriculture, Conservation and Forestry, serves Maine's citizens as the most comprehensive source on the State's important natural features. With landowner permission, the Program inventories lands that support rare and endangered plants, rare natural communities and ecosystems, and outstanding examples of more common natural communities and ecosystems. MNAP also provides objective and comprehensive information to equip decision-makers with the necessary tools to make informed and responsible decisions. 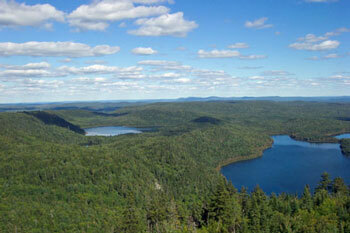 MNAP continues a strong commitment to conserving natural areas. The Program maintains a cross-referenced data management system containing current and historical information about natural features from across Maine. This information is shared with other state agencies, town planners, land trusts, and other groups interested in natural resource and conservation planning. MNAP's staff works in tandem with nearly 1,000 scientists, information technology experts, and other professionals in the United States, Canada, and Latin America that comprise the international NatureServe Network. This network contributes important information on Maine's native plant and animal species and natural communities and ecosystems with ranges that extend beyond Maine's borders. In 2014, the NatureServe Network received the MacArthur Award for Creative and Effective Institutions, recognizing this network as the champion of empirical, non-partisan approaches for conserving biodiversity. This award-winning network created and maintains the most comprehensive database on the species and ecosystems of the Western Hemisphere, and is expanding its efforts to Africa and Asia. This collective knowledge serves as a vital means of driving conservation decisions through scientific data, so that everyone making natural resource decisions—including governments, conservation organizations, corporations, landowners, and the scientific community—can take biodiversity into consideration as a means to better focus conservation actions and to more responsibly manage natural resources. In addition, MNAP works closely with the Maine Field Office of The Nature Conservancy and the Maine Department of Inland Fisheries and Wildlife on conservation efforts. MNAP's mission is to ensure the maintenance of Maine's natural heritage for the benefit of present and future generations. MNAP facilitates informed decision-making in development planning, conservation, and natural resources management. The Program's success relies upon consistent and objective methods to collect, organize, and interpret information. 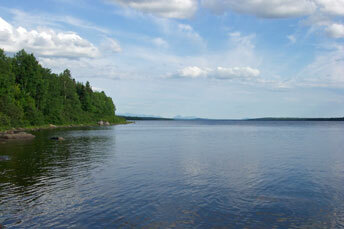 Maine Natural Areas Program's authorizing legislation. If you can't find something you are looking for, please contact us.